Parkside is now sold out! Thank you to everyone in the community that helped make Parkside a huge success. For over half a century, Onni has been building communities for people to live, work, and play. Our success reflects our commitment to our employees and partners, and our dedication to quality construction, innovation, sustainability, and customer satisfaction. Our expertise expands across North American cities such as Los Angeles, Seattle, Chicago, Phoenix, Toronto, and Vancouver. We’ve constructed over 12,000 new homes, own and manage more than 6,200 rental apartments, built more than 9.5 million square feet of office, retail, and industrial space, and have an additional 24 million square feet of space in different phases of development. 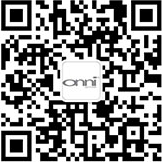 Employing thousands of people across North America, Onni is one of the continents largest and most established developers of real estate. Please visit our website to learn more about our current and future communities.